Has anyone had intermittent problems with no acceleration after slowing, then attempting to go? I have about 32000 miles on mine and this only started a couple of months ago. I can't replicate problem, nor predict when it will happen. Dealer told me it was my habit of driving with both feet. That I was causing the "sensors" in the pedals to have conflicts. If that were true, why has it only begun recently? Never heard of sensor in accelerator pedal. I was almost hit in rear on road yesterday bcause I could not go after slowing for a turning vehicle. Scary. Have the 2013 Fit and haven't had anything like that. Wondering if it's something to do with how the CVT handles sudden deceleration. My SO's car, 13 Pathfinder, also has aCVT and I think it feels sluggish sometimes. 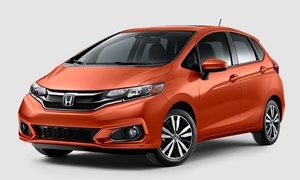 I have a Honda Fit 2010, and up until now I have not had any issues with it. It could be the CVT but one thing I would definitely change is using both feet to control car. How did you ever pass your drivers test?